Ideal for medium sized facilities requiring a simple press to call solution. Ideal for cafes, kitchens, motels and factories looking to alert staff. Wasting resource trying to locate staff members? Looking for a simply discrete solutipon that won't cost you the earth? This is the ideal solution for smaller complexes such as cafes, motels, kitchens and small factories. 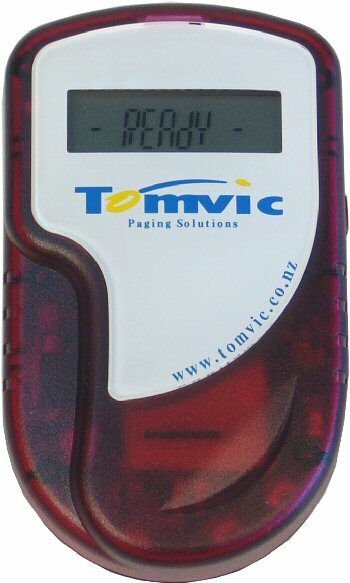 This is a low powered paging transmitter with excellent flexibility for alerting multiple pagers with different messages or the same pager with different messages. 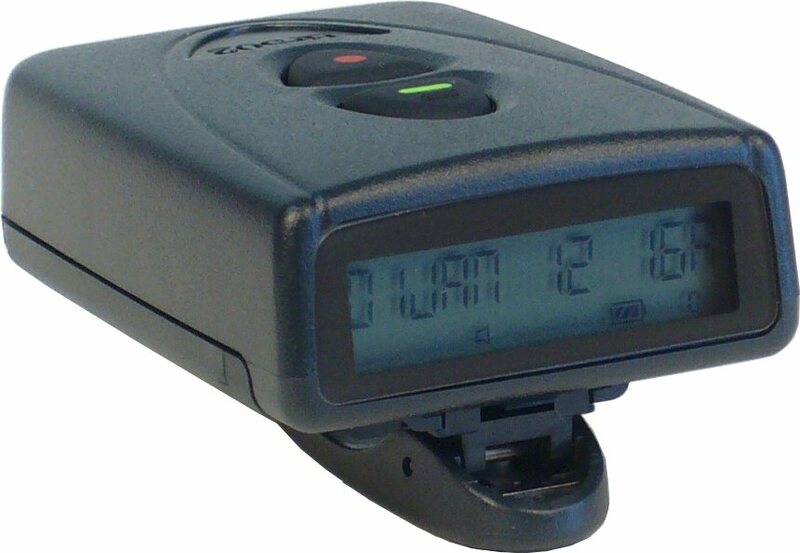 The transmitter comes as a 4 button or 8 button option and is able to alert numeric, alpha-numeric and tone-only pagers. The unit also has 4 dry contacts that can be set up separately to attach to a door bell or pressure mat which is ideal for motels. 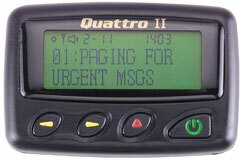 Simply press the desired button and the pager is instantly activated with your message or a simple beep or vibration (depending on the pager selected). 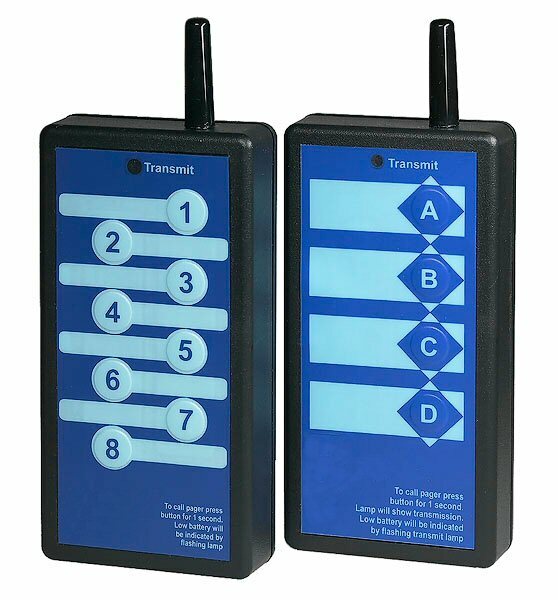 Alert a single pager with multiple messages or alert multiple pagers with a single message to each or any combination of these. No RSM license is required for this equipment as it is low powered (under 0.5 watts). Transmitter normally runs on a standard 9volt battery and will provide months of use before changing.